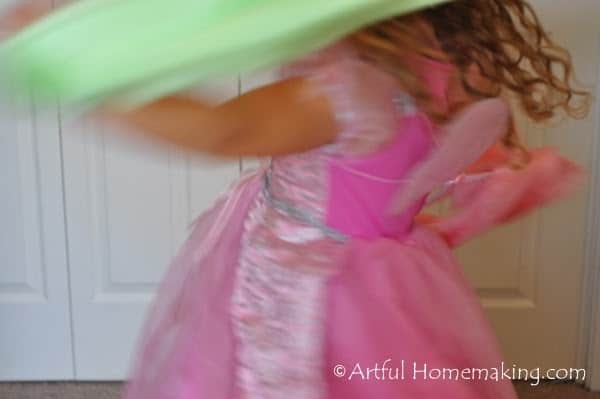 My children love playing with playsilks. Even though they’re readily available online, it’s so much fun to make your own. 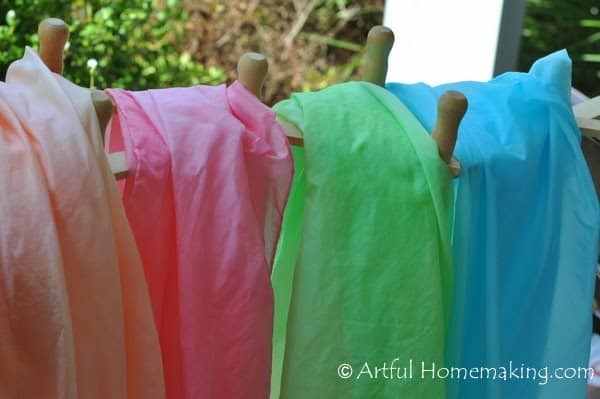 Here’s how to dye playsilks with Kool-Aid. 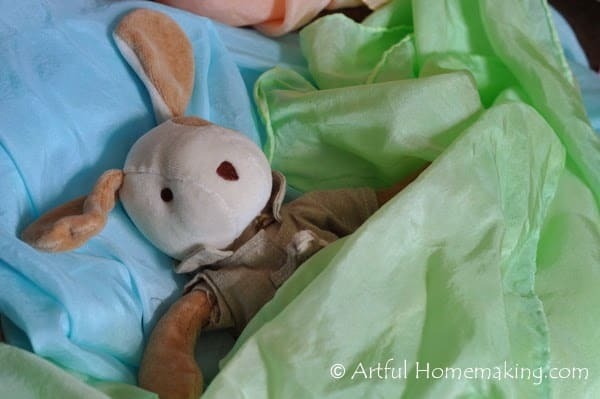 My kids helped me with this easy DIY project, and we had so much fun doing it! 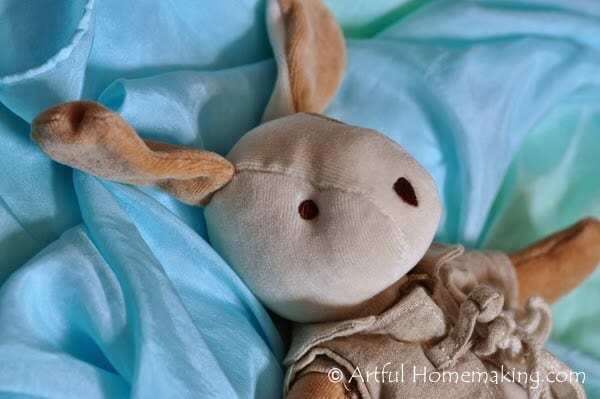 Playsilks are beautiful, natural toys. They are colorful, satisfying to the touch, and there are endless ways to play with them. They inspire creativity. 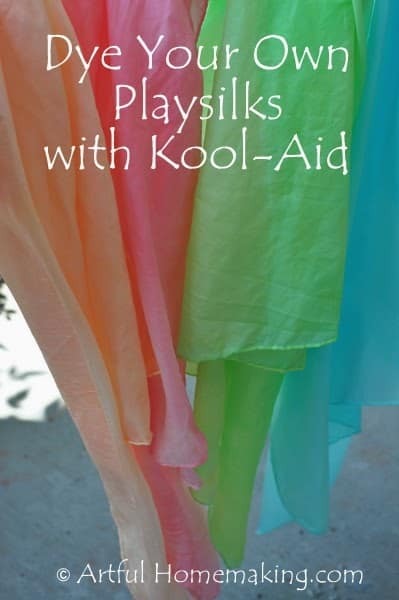 Here’s how to dye playsilks with Kool-Aid. 1. 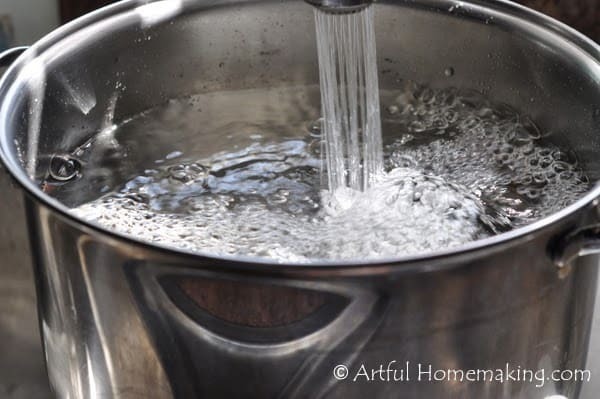 Fill a large pot with water about halfway. I heated it until it was almost hot enough to boil. 2. Add about 2 cups of vinegar. 3. 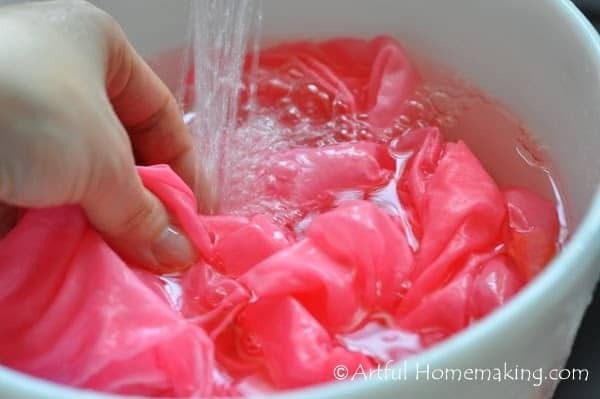 Put the silks in the pot with the water and vinegar. Let them soak for about 30 minutes. 4. 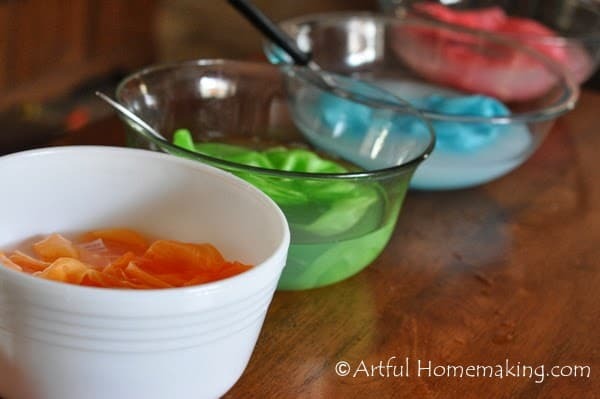 Prepare the bowls or other container you’re planning to dye the scarves in. 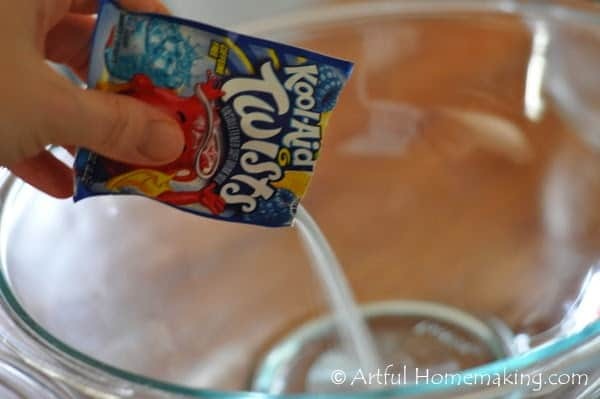 Pour the Kool-Aid packets into the bowls. 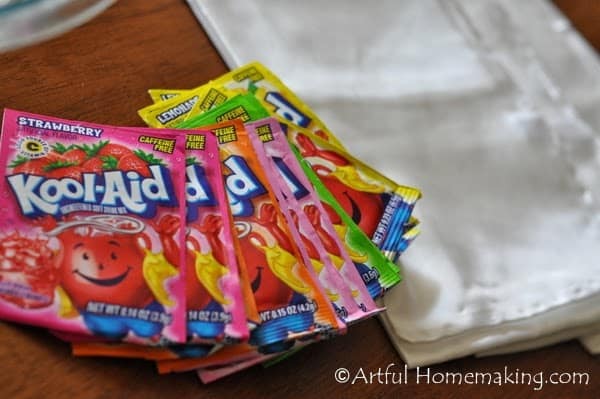 For pink, I used 3 packages of Pink Lemonade. For orange, I used 1 package of Orange and 1/2 package Lemonade. For green, 1 package Lemon-Lime with 1/2 package Lemonade. For blue, 2 packages Ice Blue Raspberry Lemonade. 5. 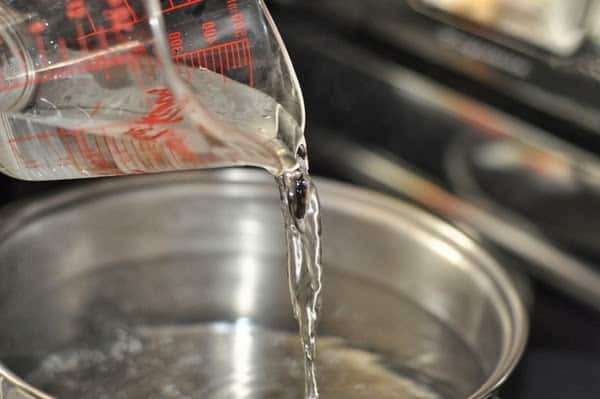 Heat water for the dye baths. 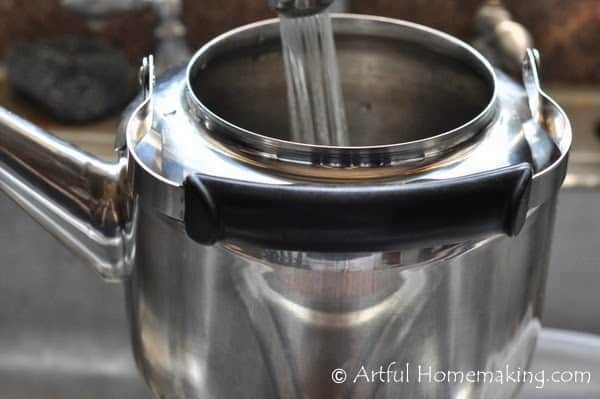 I used my large stainless steel tea kettle for this. I have this one. 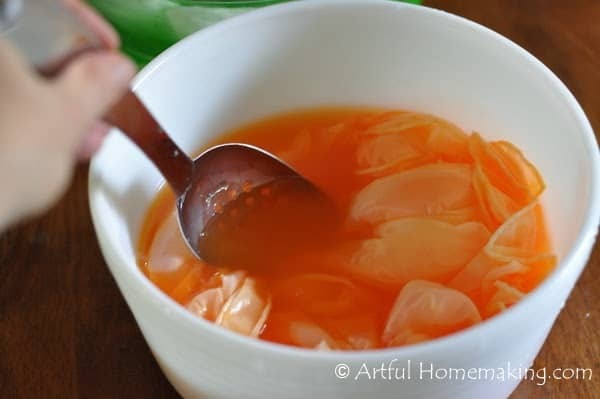 Add about 5-6 cups of hot water (or however much you need to cover the scarves you’re dyeing), and about 1/2 cup vinegar to each bowl, and stir until powder is dissolved completely. 7. 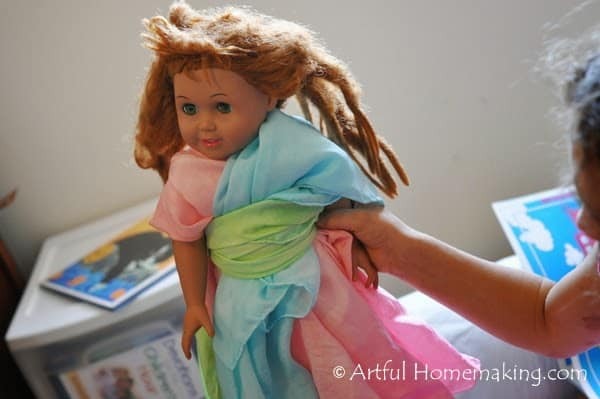 Add silks to the dye bath. 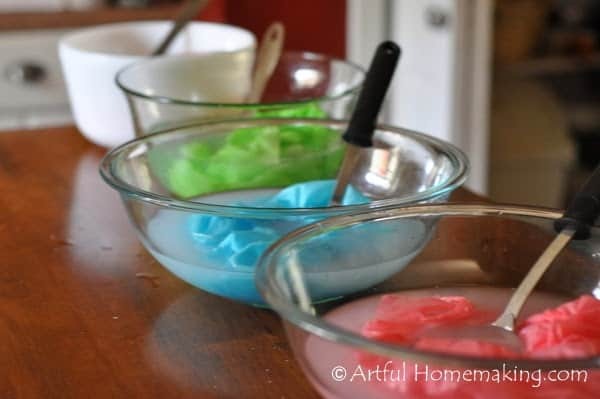 Add the silk to the bowl and stir to cover it fully with the Kool-Aid dye. 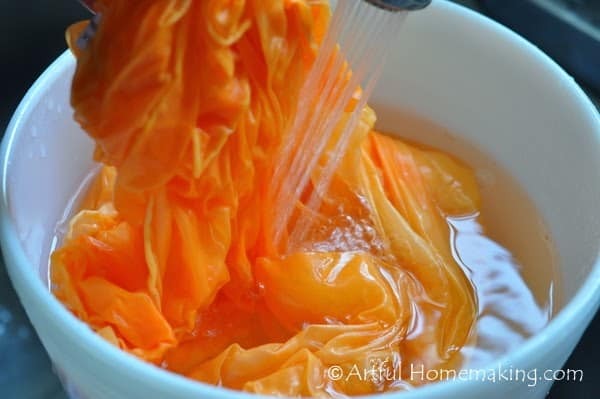 Stirring occasionally will ensure that the whole silk gets covered with the dye. 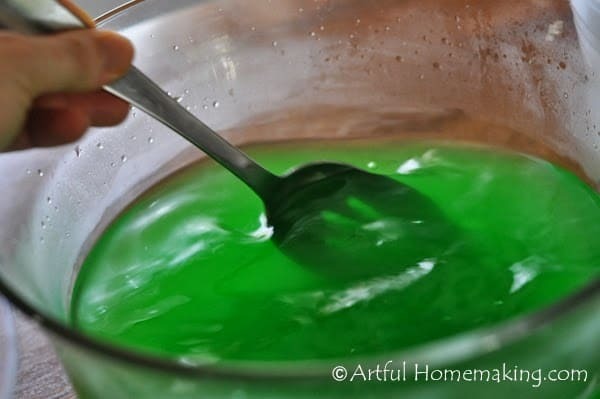 It only took a couple of minutes for the color to transfer from the liquid to the silk. 8. 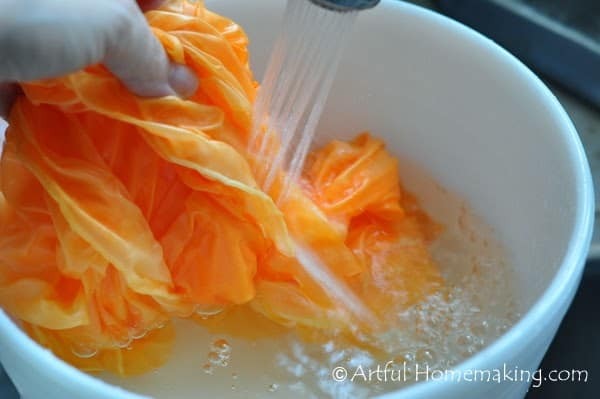 Remove from dye bath. 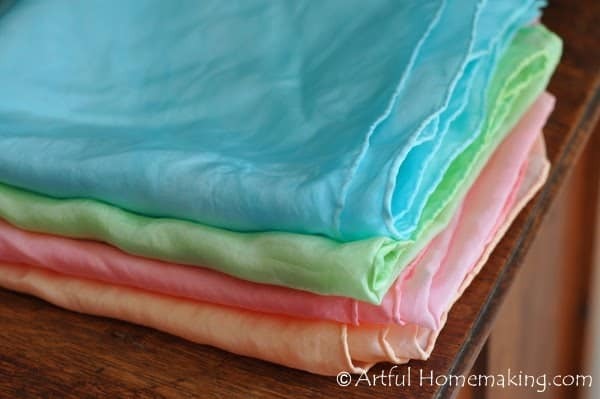 When the silk has reached the color saturation you want (2-3 minutes) it’s time to remove it. 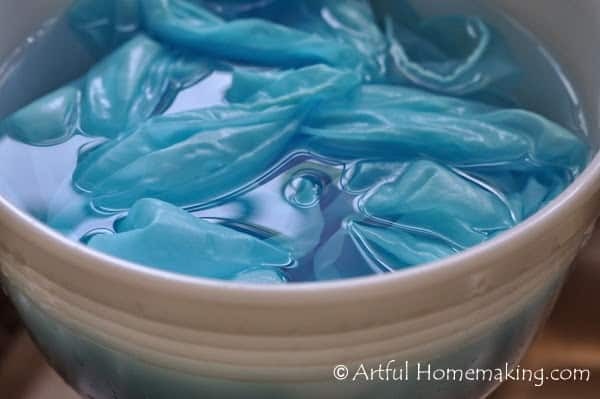 The water will be cloudy or almost clear as dye transfers to the silk. 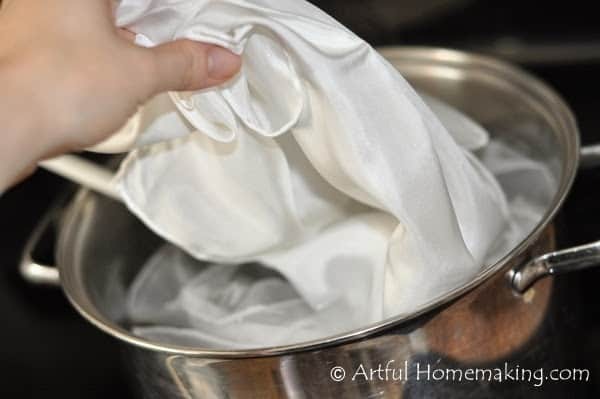 Take silk out of the bowl (or just pour the water out of it and keep the silk in the bowl–that’s what I did) and begin rinsing silk with cool water until it runs clear. It may take several minutes. 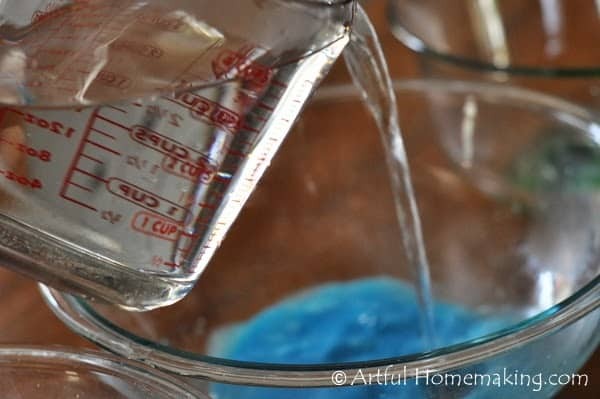 Some colors (like red) may never rinse completely clear. Even after rinsing for a long time, the orange one still never ran completely clear. It didn’t matter to me, so I gave up! 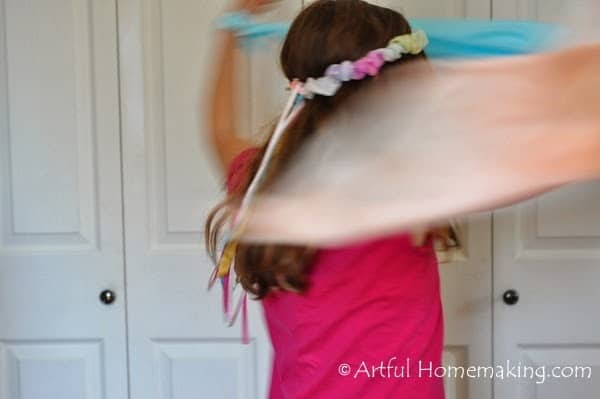 Find a place to dry the silks. If you put them outside to dry, it doesn’t take long at all. I used a peg rack balanced over two chairs to dry mine. Once they’re dry, they’re ready for playing with! I think they turned out so beautiful! They’re a work of art. If they ever need washing, I would hand wash them in cold water and hang to dry. Enjoy your beautiful new playsilks! 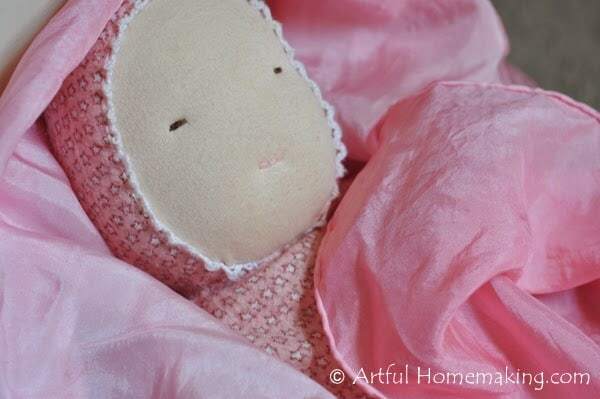 **This post was originally published in August 2012. Hi! I’m hoping to do this today but I have a question! 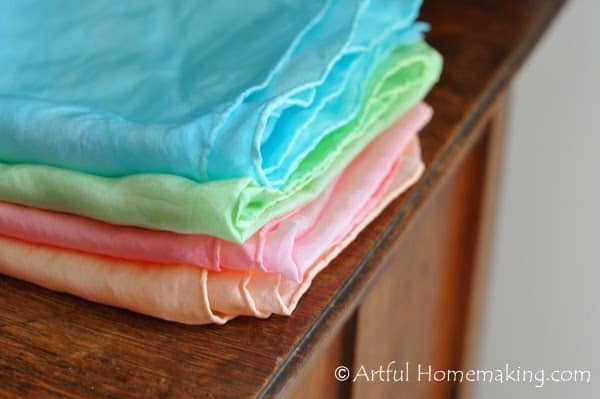 In the first step, do you keep the water and vinegar on the heat while the silks are soaking for the 30 minutes? Sorry I’m just now seeing this, I’ve been away due to the holidays and illness. 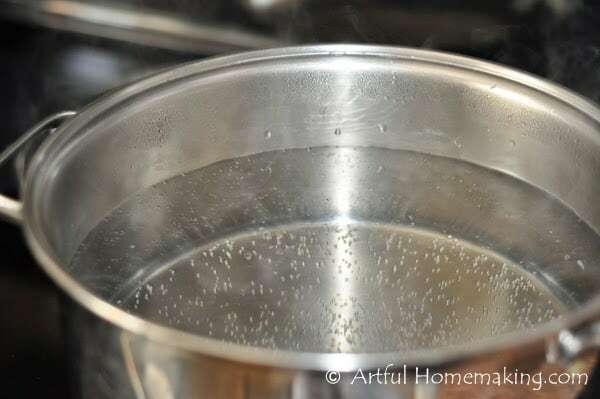 I believe I turned off the heat and just left it on the stovetop so that the water was still hot but not boiling. If you made them already, I hope they turned out well! Thanks! 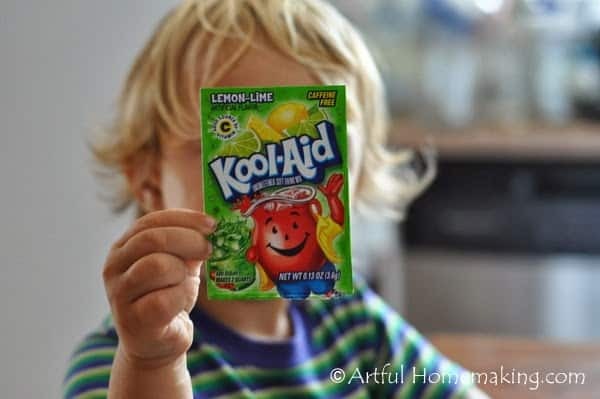 I love how vibrant the Kool-Aid makes them! This is a fun idea!! Will do this with my kiddos! What a beautiful idea. I had never heard of playsilks. Thank you, Donna! We love them! Very pretty! I featured you on Mom's Library as well! 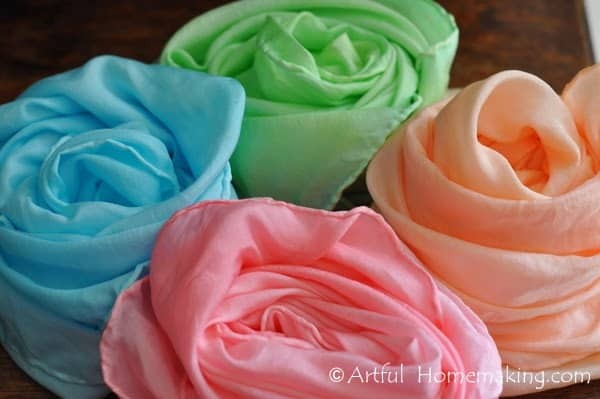 Just purchased three from Dharma to dye for my 9 month old for Christmas. I don't know of he is to young for them but I'm excited about them. 🙂 I am going to attempt a tie dye, a ombre, and maybe just the pretty green you have here. Thanks for the tutorial. Also, thanks for the link to your supplier. It is crazy how many bloggers leave out that vital tidbit. Thanks! My girls think they're fun to wear!